Thanksgiving is moments away—are you ready yet? 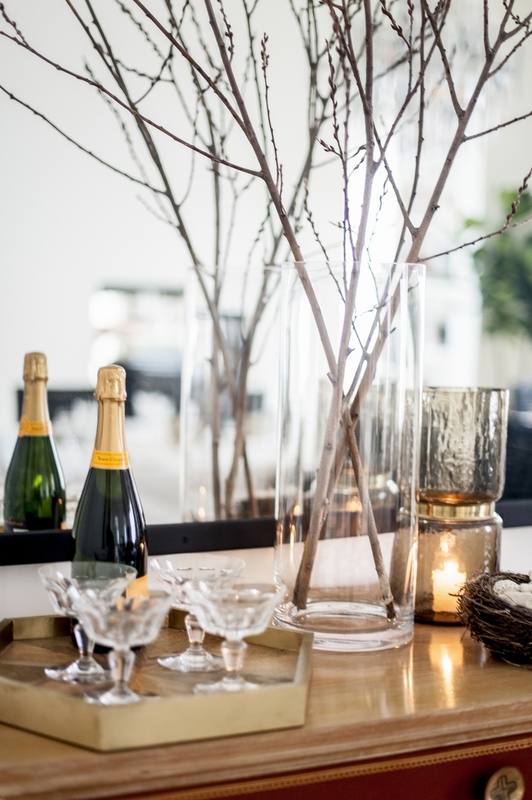 If you feel like you're in a scramble to prep your interiors and tablescape for a beautiful feast, we have a few chic and simple ideas that will put you at ease. The key is to have fun and don't stress; as long as there's food on the table and drinks in hand, your guests will be happy. 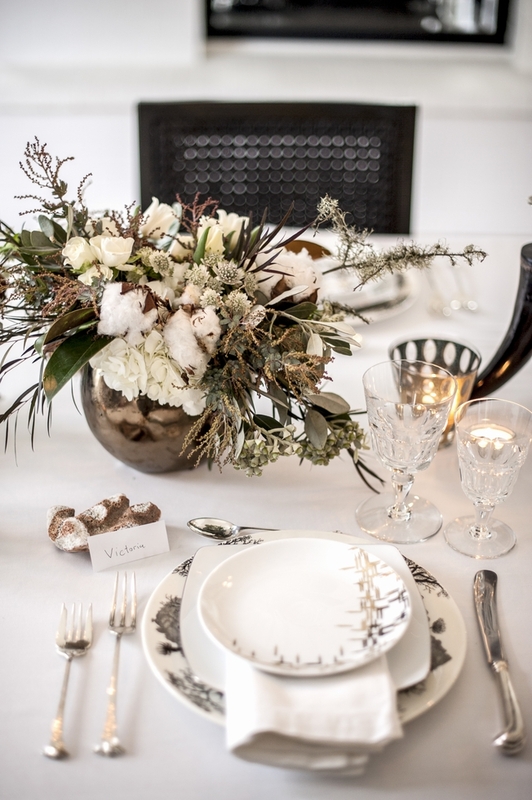 Scroll below to get inspired by a few styling tricks for your table, and remember your bird is the main attraction! Putting floral arrangements all over the house can quickly add up, so consider a cheap but chic alternative: branches. Grab a tall cylindric vase and fill it with two or three tall branches from your property, florist, or grocery store. Just by simply adding height to a table, you can create a celebratory feel that's a few step ups from every day. There's no need to drop big bucks on fancy place card holders or spending hours with Elmer's glue trying to craft them whether there's plenty of other things to do! We love to grab accents, tchotchkes, or little souvenirs from around the house to use as a stand for simple white cards. Try coral, sea glass, rocks, agate stones, pinecones, or even clip-on earrings! 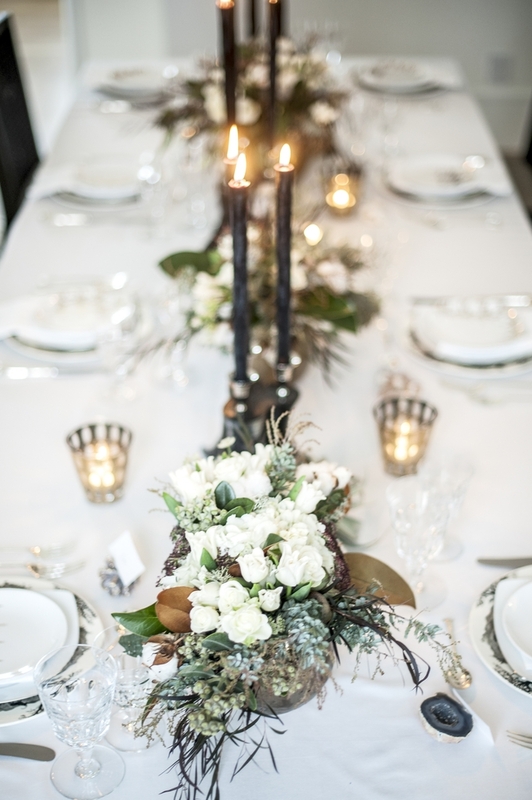 With a solid table runner as your foundation, find a color scheme of two or three colors to add to your plates, votives, tapers, and florals to create a theme. You don't have to be overtly harvest-y with oranges and browns—greens, grays, and whites or blue and cranberry are equally chic. By being thoughtful about your color scheme, you can create a look that's polished and pulled-together, no matter what tabletop decor you're using. Lastly, enjoy it! We hope you have happy, beautiful, and delicious Thanksgiving!